Whether you’re a programmer, Big Data analyst, or cybersecurity expert, your employer expects you to have the skills necessary to do your job. That means tech professionals must spend a lot of money in order to secure the schooling and certifications they need. And that can become an expensive proposition. In many industries, companies will pay for employee training. In tech, however, that’s not always the case, and that can frustrate those professionals who feel they must constantly evolve in order to prove useful to the business. Tech employers consider positions such as developer or software architect as more than a mere title. “It’s an identity,” Hadick added. With that in mind, companies often look for employees who are intellectually curious, not to mention willing to work on tech-related projects on their own time. Given how building systems that drive business operations is a complex and expensive process, it’s often easier and quicker for companies to find the people with the necessary skills, rather than train the ones they have. “If you don’t have in-house experience in that version of the programming language, you will typically work with proven partners to satisfy the client need,” Pimenta said. Before you bother to ask, make sure the training is something that your employer considers a relevant skill for the job. While companies want people who can do their job well, don’t try to pitch a certification that isn’t relevant to the job you currently perform or can’t help you get better at what you do, Hadick said. It might be easier to sell your boss on training the entire software development group and not just you, Hadick added. Suggest that training the team can impact the bottom line on the project or help move up the time to deployment. Pitch it in terms they can understand, but consider the time investment, too. Help your manager make the business case for training or certifications. Explain how the training will make an impact by filling a gap in a department need. If your employer is having a hard time recruiting the right people with the right skills, he or she might be more amenable to training current staff. Pimenta thinks the company’s decision will not only be influenced by business need, but also by the cost, timing, and ROI. Your boss may think you’re amping up your skills in order to find a new job. According to Hadick, it’s best to explain to your employer how a new training program or certification is specifically relevant to what you do and how it will improve your performance. Corporate culture can be hard to change, and that includes getting an employer to pay for certifications when they aren’t accustomed to doing so. While tech companies that routinely pay for training are still relatively rare, there are tech employers out there who know its value. It pays to ask around and network with your tech friends to find out which organizations will pay for courses. When you’re interviewing for a position, don’t forget to ask about the company’s training initiatives. Pitch it to the potential employer as a potential perk of the job. The post Getting Your Employer to Pay for Training appeared first on Dice Insights. If you’re a tech pro—or aspire to become one—President Obama wants to find you a job. That money will go to training and recruiting workers for in-demand technology fields. “The Administration will launch a $100 million H-1B grant competition by the Department of Labor,” read the White House’s press release, “to support innovative approaches to training and successfully employing low-skill individuals.” That training will include work-based learning programs and registered apprenticeships. City of Kearney and Buffalo County, Neb. Each region will supposedly use sophisticated data analytics to determine the most in-demand skills among local employers, and work with those employers to hire from “both traditional and nontraditional training programs.” These programs will rely on coding boot camps and online courses to accelerate training, and encourage interactions between employers and candidates via meetups and co-working spaces. In New York City, for example, companies such as Google and Facebook will work to connect students from the City University of New York (CUNY) with internships at local companies. Under the terms of the announced plan, private companies will provide free online training and coding boot camps for low-income and “underserved Americans.” The White House claims that national organizations “are committing to work with interested cities to share job and skills information, job-matching tools, and other resources.” For example, Dev Bootcamp, Hack Reactor, Microsoft, Treehouse Island, and Udacity are all offering free or discounted training for underserved communities. However the White House’s initiative pans out, one thing is clear: For those tech pros with the necessary skills, the salaries can be very good indeed. Check out the latest technology jobs. 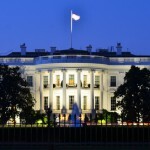 The post The White House’s New Plan for Hiring Tech Pros appeared first on Dice News. Earlier this week, the White House unveiled an ambitious plan to train and employ millions of tech pros in 21 regions across the United States. Carrying out the plan—dubbed “TechHire”—will depend heavily on coding boot camps and accelerated training programs, which (at least in theory) will make candidates technically proficient in weeks or months rather than years. In addition, a number of big-name tech companies such as Facebook have pledged to take on certain candidates as interns, for on-the-job training. But can boot camps and online courses transform cities such as Louisville and Minneapolis into burgeoning tech hubs on the level of, say, New York or San Francisco? Regions with robust tech scenes (and equally strong tech-pro hiring) benefit from a number of factors, including close proximity to universities and incubators, low-cost spaces for startups, investment in IT infrastructure such as broadband, and affordable housing. There is a growing need for skilled tech talent nationwide, and multiple boot camps have sprung up in order to help meet that demand. Switchup, an organization that collects data on boot camps and programming schools across the nation, recently issued a list of its top 32 coding boot camps. In ranking those institutions, it took into account everything from alumni reviews and instructor quality to location and job support. Not everybody believes, however, that boot camps and accelerated courses can quickly fulfill the need for tech talent. “Two months doesn’t prepare you for identifying serious problems and overcoming them,” Jason Polancich, CEO of SurfWatch Labs, told the Wall Street Journal in February. Indeed, it can take years of experiences to learn all the quirks, tricks, and procedures that define working within many technology verticals. Some of the tech skills that pay the most—including Hadoop, MapReduce, Platform-as-a-Service software, and Cassandra—are highly specialized, and take quite some time to master. So while the administrators behind TechHire may be right in assuming that tech workers don’t necessarily need a four-year degree (or higher) to compete in the space, they should probably realize that growing the country’s reservoir of tech pros isn’t something that can be accomplished in a few months. The post Can Boot Camps Really Boost Tech Employment? appeared first on Dice News. Big Data is a big growth area for tech pros. But how should people interested in the field build up their skills to become competitive in these hot new roles? The first place to start, if you’re brand new to Big Data, is to learn as much as possible about the concepts underlying it, which will make the learning of actual tools and techniques that much easier. For example, that means tackling the “engineer” part of Big Data engineer: the math, the computer science, and the programming languages. Nailing the basics is going to help you take on the hard stuff required for the “Big Data” part of any job. To find Big Data jobs, click here. Once you have the fundamentals down, the next step is diving into actual Big Data technologies. Because there are so many, it can be overwhelming to decide where to start; you can make an informed choice by studying the companies for which you most want to work. What tools do they use? What kind of experience do they expect? You might as well become proficient in the technologies used most at the places you want to work. Do you have a solid understanding of math and programming? What do you need to learn to bridge the gap for the jobs you want? When you look at job descriptions for Big Data roles, does anything in your current skill set overlap with companies’ needs? Are there skills or experiences you don’t yet have, but which seem to appear in a lot of job descriptions? If so, you likely need to acquire those skills before you become a viable candidate. Depending on your goals and the kinds of roles you want, there are a lot of options for building your skills. The best type of skill-building, though, is hands-on project work, where you actually do the sorts of things that would be required of you on the job. If you are rocking your current assignments, you may want to start looking around for extra work that will stretch you in all the right areas. Can you access a data set and do a little analysis for product or customer insights? Try to find ways to integrate on-the-job Big Data work into your current role; in addition to helping you build your skills, it will help you add value to your current employer, too. There are a ton of open-source data tools and technologies. Helping fix bugs or add new features is a great way to give back and improve these technologies, while really learning how they work. Plus, it looks really impressive to have open-source contributions to a library or tool used by the company hiring the role. There are all kinds of free data sets out there on the Internet; why not try building your own little project? Or maybe you know a startup or entrepreneur who could use a little help. Offering free or inexpensive work in exchange for helping you learn is a pretty good trade for both parties. Of course, be careful about your commitments—you don’t want your spare-time side-learning project to be on someone else’s critical path. If you don’t have a lot of time, or you don’t have the bandwidth to set up a full project or feature, try your hand solving some puzzles or completing simple tutorials. The Kaggle competitions are a great collection of little problems; they are sorted by difficulty, too, so you can practice and make progress at your own pace. Coursera: This site has all kinds of classes on programming, computer science, data science, Big Data, and machine learning. Most of them are free and taught by university instructors. It’s a great resource and a good place to start if you need to improve your foundational skills. 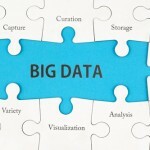 Big Data University: This site’s whole focus is Big Data, and most of their courses are free. There’s great introductory material, and most of the courses only take a few hours, so you can build your skills without a big time commitment. Udemy: This site has a lot of paid classes, and the quality is hit-or-miss (it really depends on the instructor). That being said, there is a big selection, and you can start right away. Specialized training: For every Big Data technology, there is a company that offers instruction for it. AWS offers training on using their services for Big Data; Cloudera has instructor-led courses on Hadoop. Options abound, depending on what technologies you want to learn. Big Data is a big opportunity for people looking to make their careers on the forefront of technology. Even if you lack the skills to get a data-related job today, there are plenty of ways to get up to speed and find a role fast. Analytics-Driven Cities: Hype, or the Future? The post How to Build Your Skills in Big Data appeared first on Dice News. Figuring out which IT-related certification program to pursue, from among more than 100 of them, can prove a daunting task for anyone. ITworld recently posted their top suggestions, based on a study from consulting firm Foote Partners. Add to that a very comprehensive annual evaluation guide from Pearson’s IT Certification website, which contains detailed information on many programs. Both are good places to start your own investigation. What is the total cost of the certification? Okay, you know the cost to take the certification exam. But you may not initially consider the cost of travel to a remote city if the course isn’t offered online or nearby, and there may be additional exam fees or annual maintenance expenses to take refresher exams to renew the certification. Some programs require that you join a professional association as part of the certification process, too. Speaking of which, you might want to check out joining the IEEE, where, for about $100 a year, you can access numerous books, online resources, and training classes from Skillsoft. Eric Geier, in this Computerworld article earlier this summer, offered other ways to pinch pennies. Do you have the time to complete the coursework? Some programs have completion time limits, and some have complex course requirements that could get in the way of a full-time job. Some employers expect you to stick around with them after you get your credentials, too. What is the salary benefit to the certification? There are two good sources for independent evaluations of these programs. The first is from GoCertify, and is an online evaluation tool that asks you a series of questions, such as what subject area you are interested in, and whether you need to renew your certification or obtain a new one. A second resource comes from Ed Tittel, author of the aforementioned Pearson annual guide. He has his own set of metrics that he includes in that roundup, and he shares his methods here. Is this certificate actually in demand? It’s one thing to want to get certified. But does any hiring manager really care? One way to find out is to scan the job boards, to see if the certificate is mentioned in job requirements or even in the titles of the job posts. Use the acronym of the credential in your search. Also, check the news posts on Dice and see if the acronym is mentioned in those articles. Do you have any peer support? Look at the study groups, meetups and other resources that are available online and in your local city; these can help supplement classroom training and also provide a handy shoulder to cry (or brag) on. “Put extra effort into creating a community of learners,” suggested Jonathan Haber in this post. In addition to having taken several online classes, Haber is the author of an upcoming book on online training. “It’s all too easy to get lost in the crowd in an online course,” he thinks. If you can’t find any of these resources, that’s a sign that perhaps you should consider pursuing some other credential. Look at vendor-sponsored support programs as well, such as the Cisco Learning Network, Microsoft’s TechNet and Microsoft Developer Network sites. If you are using a third-party training vendor, examine the array of support materials that comes with their classes, such as customized or real-time coaching, sample practice exams, test-taking exam prep guides, certification details, offline training resources, and virtual environments for code writing and debugging. The more ways you can learn the material, the better. You should have at least a year’s practical experience in understanding how to bring up apps on AWS. This is the topmost certification in Cisco’s program, and there are numerous requirements and prerequisites. One of the best all-around vendor-neutral security certifications, designed for law enforcement and security professionals; it features lots of hands-on practical instruction. There are separate certifications in 10 categories, including private cloud, SharePoint, and server infrastructure. This is Red Hat’s highest certification, requiring numerous prerequisites in at least five of their products. Make sure you check to see which vSphere version your exam is based on (v5.5 or v5); there is a complex series of requirements and a variety of training courses to get this certification. The post 6 Essential IT Certifications for 2015 appeared first on Dice News. When it comes to earning certifications, tech professionals always worry about whether it’s worth their time and money. For enterprise architects and IT specialists , there’s some good news: Two credentials earned through the Open Group — including its Open Certified Architect and Open Certified IT Specialist — pay off, though not as you might think. Their value seems to be higher when it comes to moving up within your existing employer, as opposed to getting the attention of new hiring managers. One reason might be mindshare: There are a lot of certifications in the market and it takes time for a smaller vendor-independent consortium like San Francisco-based Open Group to build awareness among recruiters. James de Raeve, the organization’s vice president of certification, told Dice that the credentials are certainly “more popular with people who need to show clients their level of skill and experience.” Also, more companies are using the certifications internally to identify their best talent. Click here to find enterprise architect jobs. Basically, Open Group has a framework for identifying industry standards, emerging requirements and best practices for architects and other IT professionals. Its Open Certified Architect designation is a credentialing tool focused on verifying experience with IT architecture. The Open Certified IT Specialist is designed to confirm expertise in the development, implementation and operation of IT solutions. The process for both credentials requires candidates to prove years of experience and client/technical focus by way of a written application process and peer interviews. There are no training courses or written exams. A Small Network Currently, the Open Certified Architect is held by just 3,925 people at 160 organizations. The Open Certified IT Specialist has 3,028 holders spread across 72 organizations. Both the Open CA and Open CITS programs have three levels. They include Certified, Master and Distinguished, each based on years of experience. The most popular is the Level 2 Master Certified designation. In both programs, that requires three years of lead experience. Given those numbers, the ROI may come as something of a surprise. According to the IT Skills and Certifications Pay Index of Foote Partners, a Vero Beach, Fla., firm that tracks certifications, those with the Open Group Certified Architect credential experienced a 16.7 percent pay gain in 2013, while those with the Open Group Master Architect certification saw a 14.3 percent increase. “We developed these programs because our members asked us to help them identify their senior professional architects and IT specialists,” says de Raeve. “We did this by providing clear skill and experience requirements that such professionals must meet, a process for evaluating candidates through peer review, and a certificate and logo for the successful candidates.” Corporate Participation The Open Group also has an accreditation mechanism through which companies can operate the programs internally. “Some organizations tie certification to promotion,” notes de Raeve. IBM , HP and CA Technologies are accredited for the Open CA program. IBM is also accredited for Open CITS. Despite the company adoption, de Raeve admits the certifications haven’t gained nearly as much traction as his organization would like. Because they’re not exam-based, he says, “recruiters seem to have difficulty fitting them into their mold. Communicating the value widely is a major challenge for a small organization like the Open Group.” Matt Brosseau, director of technology for Chicago IT talent management and consulting firm Instant Technology , observes that hiring managers without a deep understanding of the related skills might not recognize the significance of, or even know about, the Open Group credentials. But having relevant industry certifications on your resume can never hurt, especially if you’re looking to move up. At the moment, he says, the credentials take you “from being knee deep in coding to an artisan of the craft.” Related Stories What’s Better: Online IT Certifications or Advanced Degrees? A Hung Jury on Certifications New Certification: HP Focuses On Embedded IT The post 2 Little-Known Certifications That Could Get You Promoted appeared first on Dice News . Software engineers , architects , programmers and project managers are often left to their own devices when it comes to training. If they’re interested in learning new programming languages or updating certifications, the work often gets done on their own time. But according to Edmond Freiermuth, a Los Angeles-based management consultant, there’s a link between training and corporate culture. Companies that want to train their people, he contends, generally pursue a longer-term commitment to their workers, one that translates to the employee’s emotional well-being and professional success. For tech professionals who often decry the lack of employer-backed training, that conclusion comes as no surprise. The problem, it seems, is that company training is the exception nowadays, though more businesses are using it as a retention tool. For candidates, the challenge becomes figuring out whether a prospective employer is serious about learning. After all, “all companies are not created equal,” observes Jeff Kagan, a technology industry analyst in Marietta, Ga. Some are purely focused on their investors and customers, while others give their employees much more consideration. “Some companies invest heavily in their technology and the training to better utilize this technology,” Kagan says. But since some don’t, candidates have to dig deep to find out exactly what the business’s approach might be. And that means you can’t rely on what hiring managers and others have to say. “Try to talk with the workers, if you can, and not just the managers to find out what kind of company it is,” Kagan suggests. Performance Counts Not surprisingly, the financial health of a company is one indicator for prospective employees to consider. If companies have cash, they’re more likely to think about technical training, Kagan says. He notes there’s usually a direct path from a company’s financial strength to education and training. Larger companies, especially those in tech, generally have formalized programs for tuition reimbursement and certifications. For instance, Adobe kicks in the cost of fees, tuition and books for appropriate business courses and certifications up to a specified amount. It also offers on-site technical programs. Microsoft has a similar deal, providing business-related tuition assistance for undergraduate or graduate coursework and extensive internal training programs online or in classrooms. At Smaller Companies Most smaller companies aren’t able to afford similar benefits, says Freiermuth. However, you shouldn’t overlook the value that a company or outside mentor can offer in the way of both direct hard skills and softer ones. Plus, if you hitch your wagon to a more entrepreneurial company, it’s possible that you’ll have more learning opportunities by holding greater responsibility, he says. “That’s especially true at tech companies.” It’s Still on You However, just because a company is concerned about keeping its technology staff current doesn’t mean that you can turn over your continuing education plans to your employer. Freiermuth argues that you can’t blame the company for a lack of learning new things. Whether it’s keeping up on your programming skills or learning how to blend business and tech knowledge, you need to be aware of how the wind is blowing at your company and sector. And, you may have to go out and pursue a training solution yourself. Simply put, complacency can be a job killer. The post How to Tell If an Employer Takes Training Seriously appeared first on Dice News . A programmer’s skills need constant updating. You know the story: Technology that was hot two years is old hat as far as employers are concerned – which means they want something different today. And while it used to be companies would spring for the cost of training, that’s become increasingly rare. So, how do you get the training you need? That’s what we explore in this week’s hangout. Our panel — Software Engineering Talent Guide Catherine Powell, C++/C# and Java Talent Guide David Bolton, and NOVA Job Center Career Coach Sharadon Smith — looks into free and low cost options, as well as ways to prove your expertise in skills you’ve already learned. Resources Staying Up to Date Course Aggregation lists mooc-list.com skilledup.com (aggregator of learning options) Training Opportunities Free coursera.org udacity.com MIT’s free online self-guided courses Stanford’s self-guided courses Consulting companies and vendors often offer free training. Paid lynda.com (offers many levels of technical training for a subscription price. I recommend the $37.50/month model because it comes with exercise files) thoughtbot (A Boston Ruby on Rails consultancy. This one costs $99 per month without mentoring and $249 with) Design Contest Sites (great ways to get coding experience and network): kaggle.com challenge.gov hackforchange.org codeforamerica.org news.dice.com (Contests in our C++ and Java Talent Communities) http://www.visualizing.org/open-challenges (Data visualization) http://community.topcoder.com/tc Companies such as Google and Intel sometimes sponsor competition (look on their websites) Code review sites (opportunity to practice coding and get feedback): http://exercism.io stackoverflow.com stackexchange.com The post How to Get Low-Cost – or No-Cost – Training appeared first on Dice News .